Brace yourself….summer is coming. 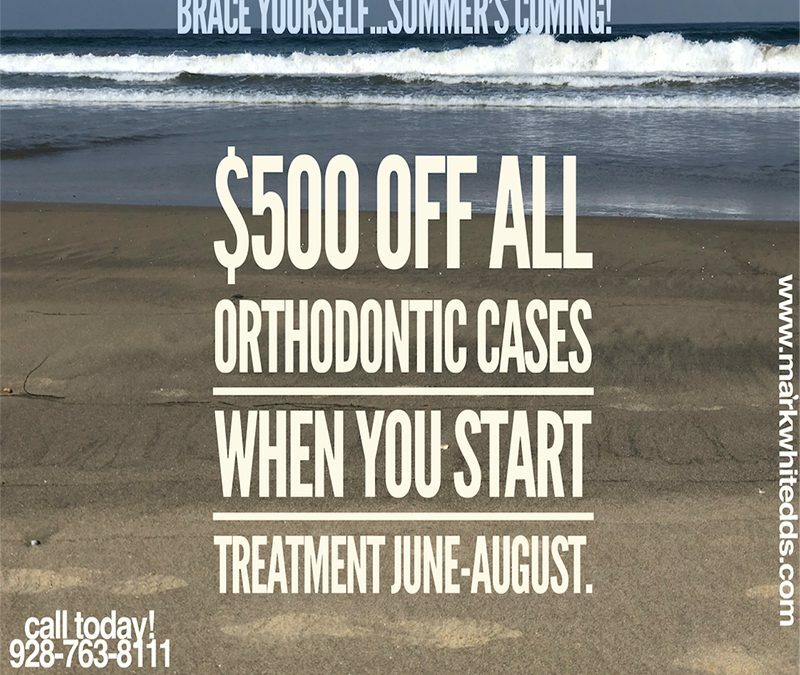 Get $500 off orthodontic cases at Dr. Mark White-Valley Dental Associates when you start treatment from June through the month of August. Call 928-763-8111 for more details.